You are here: Home › Should You Integrate for ACH and Credit Cards? Software applications serving a vertical base of using organizations and businesses that have a payments component requirement will no doubt integrate to a processing API at some point in time. Usually sooner rather than later. 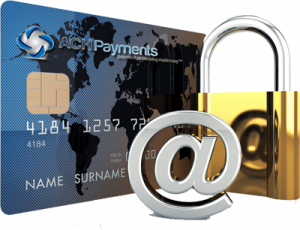 One question they often face is should we integrate for ACH as well as credit cards? Credit cards are the predominant payment vehicle used in the internet space (card not present). For software applications that support organizations and businesses of a subscription nature with recurring payments, credit cards are many times not the favored method of accepting payments. Most use cases of a subscription nature lend themselves very nicely to ACH processing. Generally speaking, the majority of businesses falling into the subscription use case know their customer well. They have an ongoing relationship with their customers and those customers value the goods or services that they receive from the business, else they would not have enrolled in what is a subscription that includes recurring payments. Risks of returned items are far lower in subscription based models than one-off transactions for a given product. Moreover, some subscriptions are digital services that can be turned-off by the merchant using the software application. Therefore, there really is no loss of product delivery. In the recurring payments space, credit card declines can be a huge problem. The current average in the recurring space is 15%, with some businesses finding decline rates as high as 20%. Credit card declines come from expired cards, re-issued cards due to EMV issues and compromised cards. There are credit card updater programs available from most processors, but they aren’t a 100% guarantee. There will still be manual customer service time involved in tracking down new card data. On the other hand, ACH transaction return rates in the recurring space averages around 2%, and most of those returns are due to non sufficient funds. Bank checking and savings account don’t have expiration dates, and are not subject to being compromised at the point of sale like credit cards are. As far as the NSF returns, keep in mind that ACH NSF returns can be resubmitted, twice – and the integrating organization can programmatically manage how those resubmissions are scheduled, automatically. Resubmissions can be as effective as 90%, depending on how they are timed. Should you integrate for both credit cards and ACH? The bottom-line is that any software application that has organizational users of a subscription nature should strongly consider integrating for both credit cards and ACH. We at ACH Payments have been serving the needs of businesses and organizations of all sizes for over 19 years. We’re here to listen to your requirements and make recommendations.